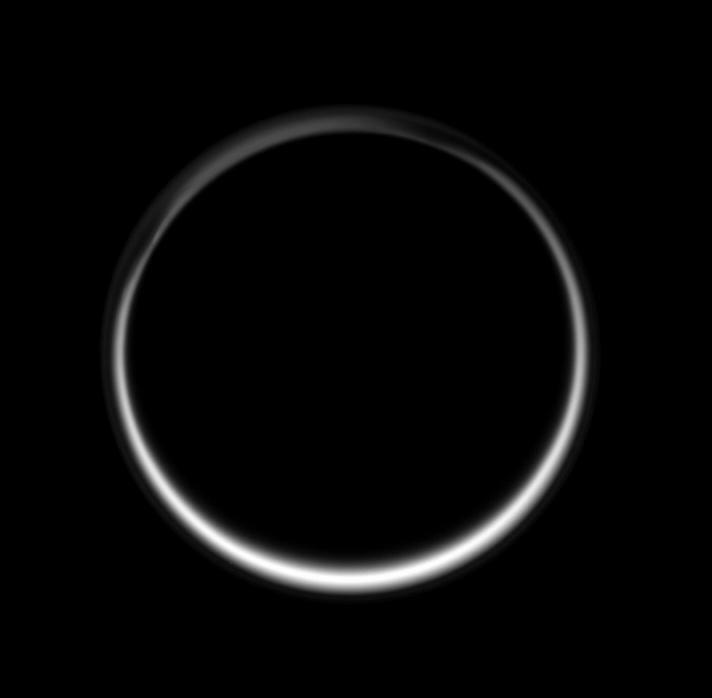 This celestial circle of light is produced by the glow of sunlight scattered through the periphery of Titan's atmosphere as the Sun is occulted by Titan. It is the sum of all the sunsets and sunrises taking place on Titan at once. 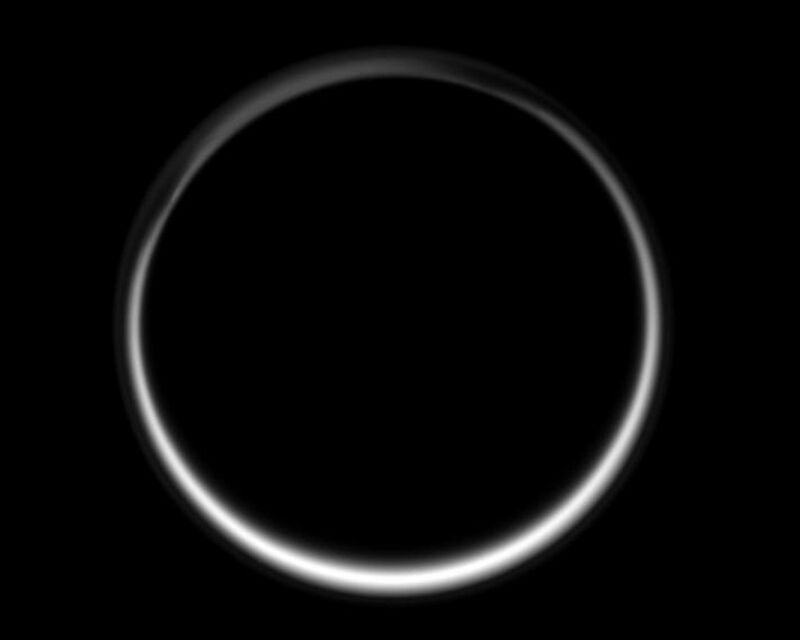 The intriguing structure of Titan's north polar "hood" can be seen at upper left. A thin, detached, high-altitude global haze layer encircles the moon. 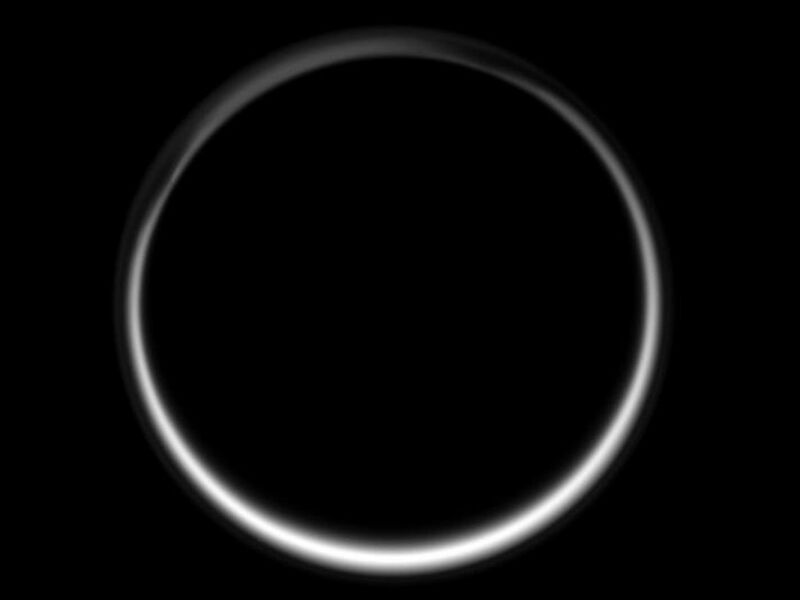 North on Titan (5,150 kilometers, 3,200 miles across) is up and rotated 23 degrees to the left. The image was taken in visible blue light with the Cassini spacecraft wide-angle camera on June 29, 2007. 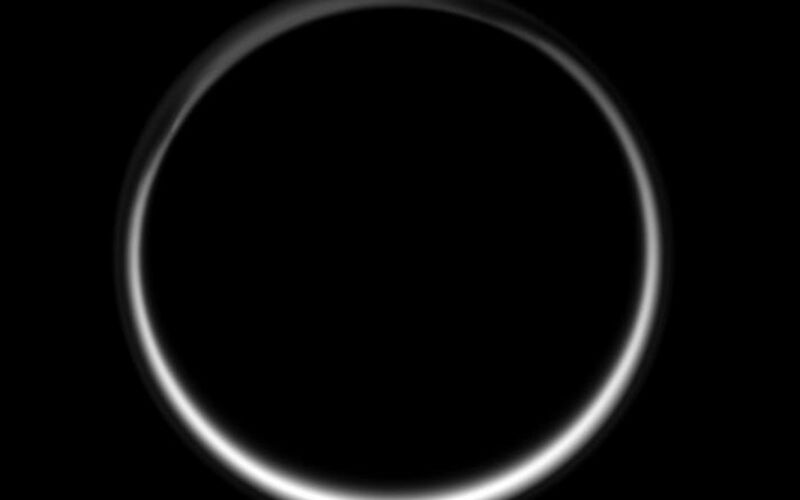 The view was obtained at a distance of approximately 210,000 kilometers (131,000 miles) from Titan and at a Sun-Titan-spacecraft, or phase, angle of 167 degrees. Image scale is 12 kilometers (8 miles) per pixel.